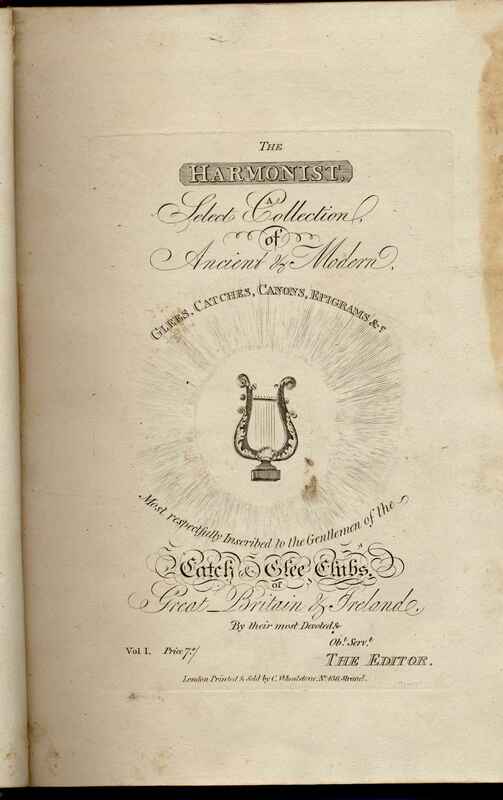 Full Description: One of three large volumes of “The Harmonist”, a musical Journal published by C Wheatstone (snr), for enthusiasts who met in Clubs to sing Glees, Canons and Catches – a musical fashion of the very early 1800s. Each frontispiece reads “The Harmonist – a select collection of ancient & Modern Glees, Catches, Canons Epigrams &c. Most respectfully inscribed to the gentlemen of the – Catch & Glee Clubs of Britain & Ireland – by their most devoted Obt Servt The Editor”. 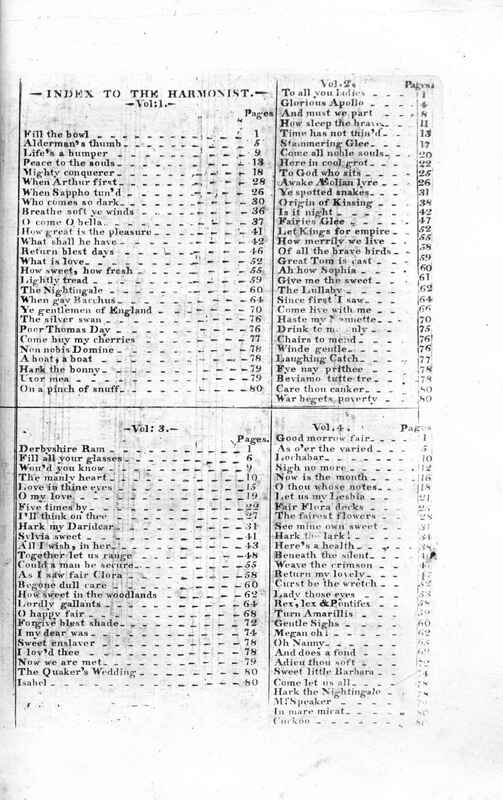 This volumes are credited as ““Vol 1 Price 7s/- London: Printed and sold by C Wheatstone, 436 Strand” – the address of the family’s business prior to the move to 20 Conduit Street. This “C W” is Charles Wheatstone’s uncle, for whom young Charles worked after his move to London from Gloucester. See also NC.1.2.7-001 [http://www.concertinamuseum.com/NC10207-001.htm] and NC.1.2.7-003 [http://www.concertinamuseum.com/NC10207-003.htm] for two further volumes.